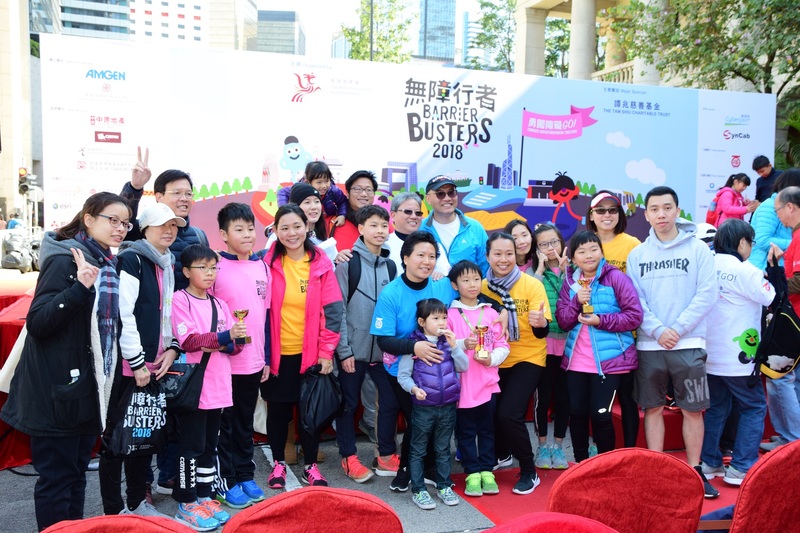 The Hong Kong Society for Rehabilitation (HKSR) is committed to work together with corporations and organizations to build a caring community and promote social inclusion. Welcome enthusiastic support from corporations. Support HKSR’s event by cash and in-kind sponsorship. Barrier Busters is our annual fundraising & educational event. 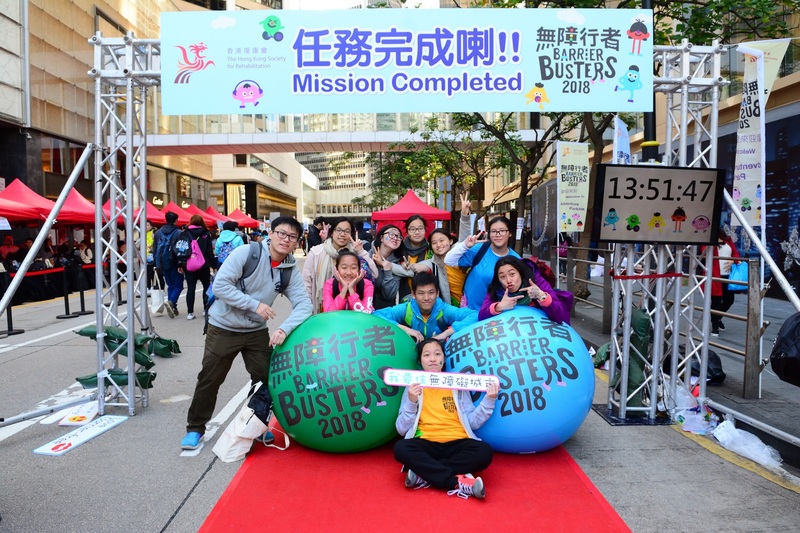 To enhance public awareness and understanding on the needs of persons with disabilities and chronic illnesses and also barriers they overcome every day, “Barrier Busters” is designed for participants to experience and take the AdverntureParkHK challenge. Let’s join together to break physical, psychological and social barriers and creates an inclusive society! The next Barrier Busters will be held in November 2019! Recreational outing – We organize regular recreational activities for persons with disabilities and chronic illnesses. 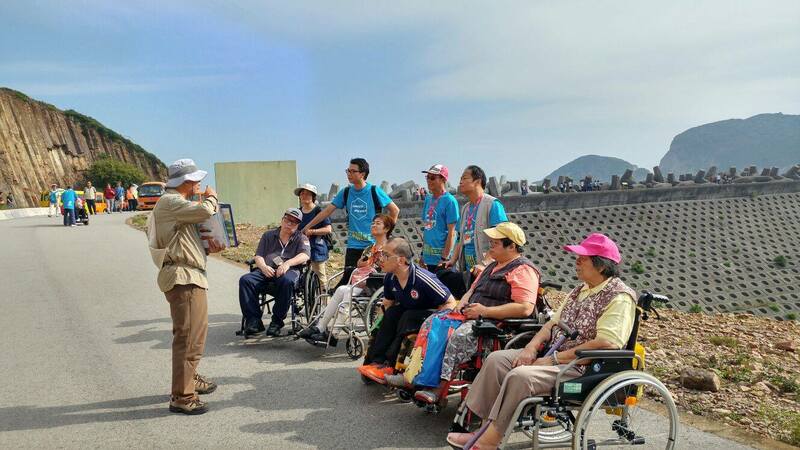 Corporate volunteers are welcomed to join Rehab volunteer team, visit the good places in Hong Kong together with persons with disabilities, so that they will have more opportunities to get into the community and enjoy social life. Visit – To share the joy and care to the elderly or persons with chronic illnesses via visits. Corporations are welcomed to utilize your strengths to arrange innovative activities to raise fund for The Hong Kong Society for Rehabilitation. When you organize grand opening or special festive gathering, you might consider inviting your guests to make donation to us in lieu of presents or flowers. To join hand with HKSR to build an inclusive society and advocate holistic well-being for all! Barrier-free does not mean providing special facilities for persons with disabilities, it means our society is accessible for all, including elders, children and pregnant women. Values of “Barrier-free” are “Acceptance, Equality, Respect, Inclusive”. 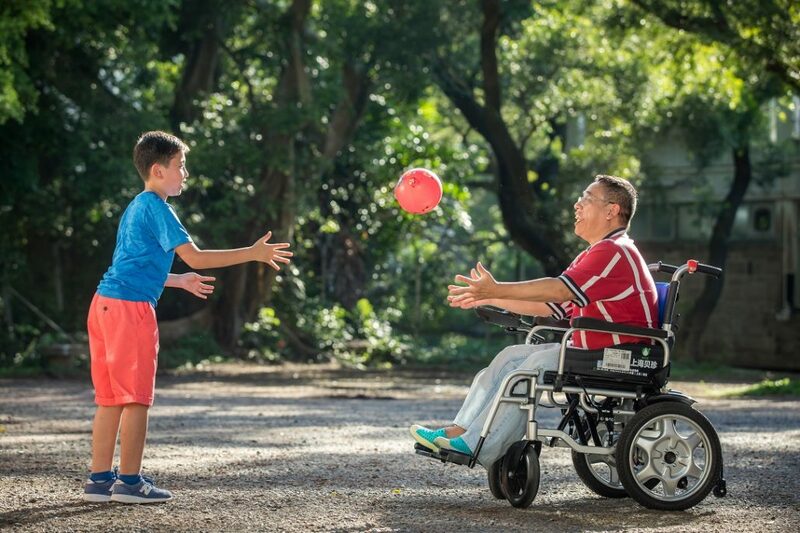 An inclusive and barrier-free society can help everyone to achieve their full potential! Community walk: Walk around the community using wheelchair or wearing special device, guided by persons with disabilities. Participants can experience the challenges they face in daily life. Team building: Reflection on how we accommodate needs of persons with disabilities by playing challenging and interesting experiential games. 2. Care for the employees: Enjoy the tailor-made health talk, workshop or training for staff. 3. 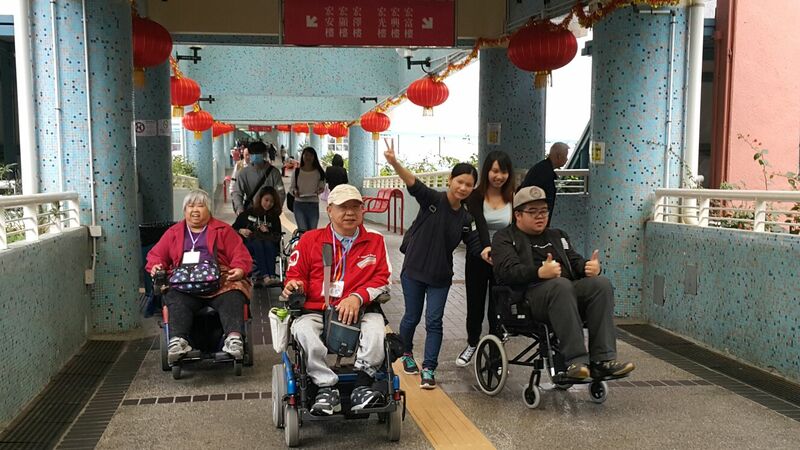 Employ the vulnerable community: Collaborate with HKSR’s Vocational Rehabilitation & Retraining Centre, to provide vocational training, placement & working opportunities for persons with disabilities and chronic illnesses (Know more: VRRC link). 4. 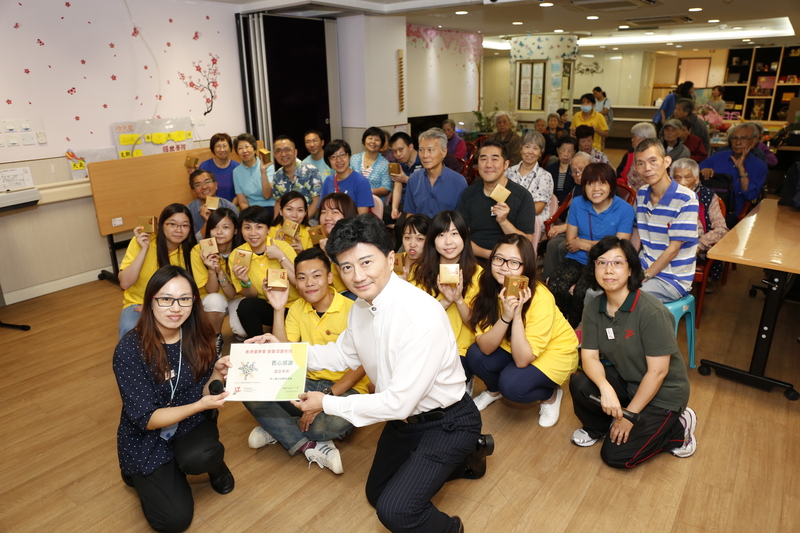 Support social enterprise: Enjoy a special discount offer to purchase the Rehabilitation products from Wah Hong Rehab Product Direct Sales Centre and the health food and products from LiveSmart. Wah Hong & Livesmart are social enterprises under HKSR. (Know more: WH Link& LiveSmart Link). To promote HKSR’s services and activities through different channels or distribute HKSR leaflets to your colleagues or clients. 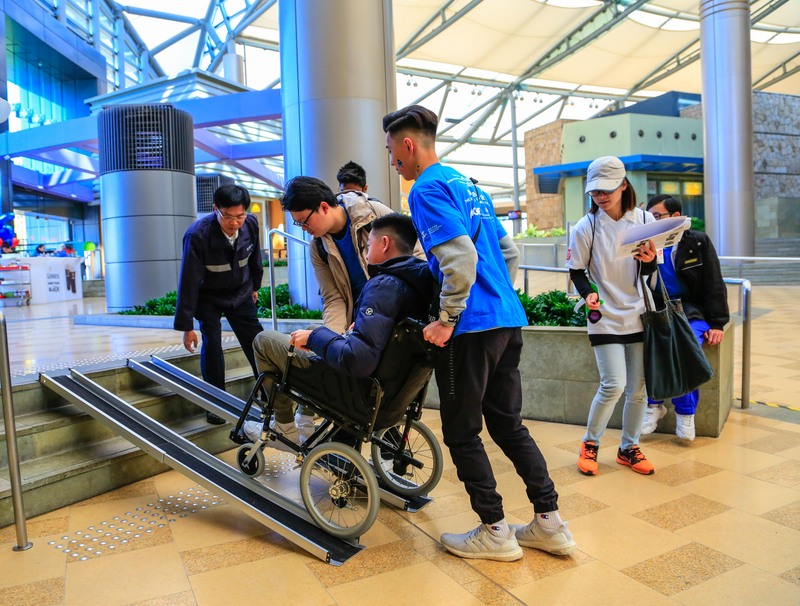 Octopus Cards Limited (OCL) and the Hong Kong Society for Rehabilitation (HKSR) jointly launch the ORTSS to enable wheelchair-bound persons with financial difficulties to use the Accessible Hire Car (AHC) Service provided by the HKSR in attending medical appointments and participating in social activities. ORTSS aims to facilitate the beneficiaries to better integrate into the community, thereby contributing to building a harmonious and caring society. In 2016, CLP sponsored International and China Division on a one year project of “Improving the Lives of Children with Disabilities in Orphanages in Mainland China”, which aims to improve the service skills and quality of therapists and carers. Bazhong Children Welfare Institute in Sichuan and Anshun Children Welfare Institute in Guizhou are the beneficiary of the project, trainees shared that through the workshops, they learned to observe and be aware of the children’s body posture, as well as how to plan group activities for them. The training enabled them to better serve the children, and improve our management and planning skills. Please contact Communication & Resource Development Department for more information.